Candidates hired into a full/part-time position will be entered to win one of two $50 Target gift cards or a new XBOX One. No current certification? 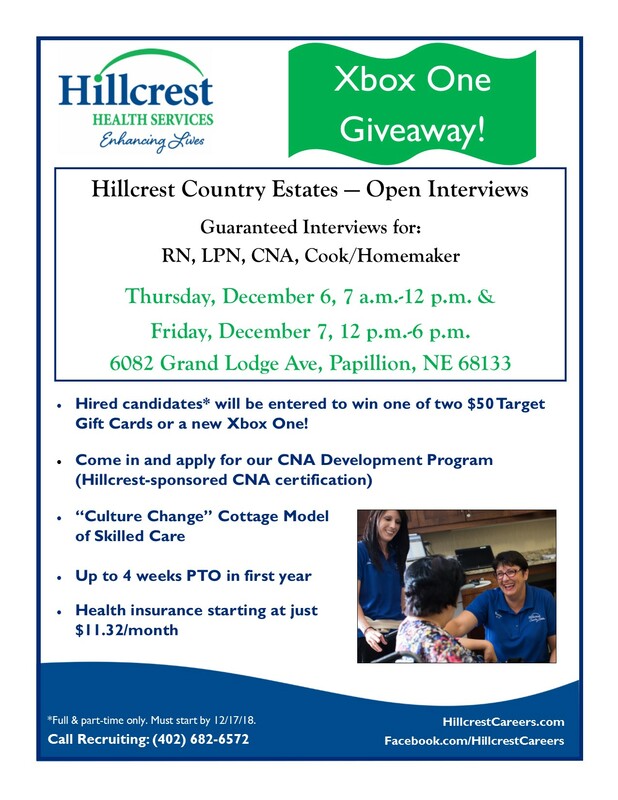 Come in and apply for our CNA Development Program (Hillcrest Sponsored CNA Certification). Hillcrest Country Estates is located at 6082 Grand Lodge Ave in Papillion. Call a Recruiter at (402) 682-6572 for more information.